A home marketing strategy needs to showcase a home in its own unique way. Since almost all homes are different in some ways, the marketing campaign needs to be different as well. Each local real estate market is changing daily. Homes get sold. Homes come on the market. Prices get reduced. Each local Tucson real estate marketplace is constantly changing. Also, the mortgage market is changing. New regulations, changing interest rates and buyer credit scores. So while a home marketing strategy will be created by your Realtor, it needs to be adjusted on a regular basis – monthly – to reflect the then current market. Selling a home in today’s real estate market will require a flexible marketing strategy. The newly listed home will immediately appear in the Tucson Multiple Listing Service. Or Tucson MLS. Many agents will prepare and send an email blast announcing the new listing and highlighting the homes features, location and listing price. A lock box with a key inside will be place on the front door or easily visible spot in the front or side of the home. This allows Realtors to schedule showing of the home to their buyers. Open houses will be scheduled, based on the sellers preferences and schedule. The internet provides real estate marketing channels that can reach out to selected target markets and international locations. The internet is an important channel for marketing your home, so be sure it is a top channel for your Realtors marketing strategy. Your Realtor may consider print advertising in the marketing campaign. However, in today’s internet and social media world, print media has a low return on investment in marketing your home. 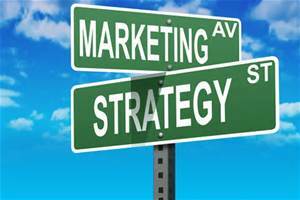 There are 5 broad steps to a successful home marketing campaign. First, getting he home ready to show. This may include making some cosmetic changes or repairs to be competitive in the local real estate marketing effort. This will also include staging the home for showing and open houses. Second, setting the Fair Market Value. This includes reviewing recent home sales in the local neighborhood, comparing those home to yours, understanding your timing for the sale and other considerations you will be making. Third, executing the marketing strategy developed for your home. This will include getting photos taken, writing descriptions of the homes amenities and features. Listing the home in the Multiple Listing Service (MLS), email marketing campaigns, internet portals and agent website portals. This also includes knowing when your homes is priced too high. Forth, reviewing offers with the homeowner. This will address the specifics of the offer being presented, any cautions or concerns and offering advise on counter offers. Fifth, upon acceptance of a contract for the purchase of a home coordinate any home inspections and repair requests. Reviewing all contractual items to insure they are completed on schedule to achieve the scheduled close of escrow date. There may be any number of issues or decisions that may be needed during this overall process. Your Realtor should be leading the process on your behalf and providing advise on what needs to be done by when. When to hold an open house. Holding an open house is becoming less popular in many markets. It is a good way to get immediate feedback on the home and how it shows, if the visitor is willing to make comments. Again, internet marketing tools make it easy to know when a home showing occurred. This allows the listing agent to send a survey to the showing agent for comments. The feedback tends to be direct and to the point. Price to high, buyer didn’t like “ “, and so on. Whether you want to hold open houses for your home is up to you, the seller. Talk it over with your Realtor and decide what is best for you. Considering selling your home in Tucson AZ? We would welcome the opportunity to discuss how our experience and background would be of service and value. Give us a call at 866 316 5575 or submit a request for a Comparative Market Analysis (CMA) and we will get right back to you.